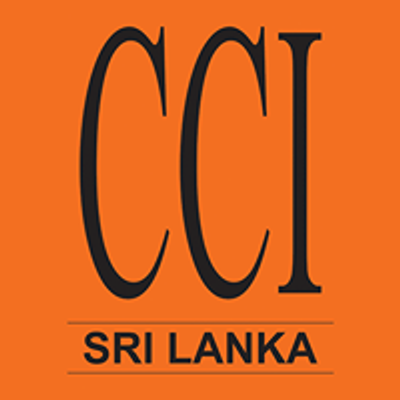 Housing & Construction Expo is organized by the Chamber of Construction Industry Sri Lanka (CCI), with the objective of providing a platform to the construction industry stakeholders to display their products, services, new technologies and capabilities to the potential customers and general public. 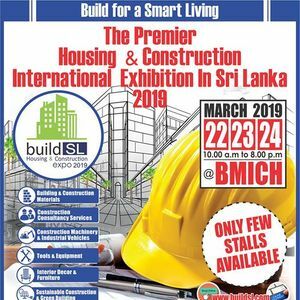 In addition this Expo will highlight the recent development projects undertaken in the country with an insight towards the plans for building a new Sri Lanka. 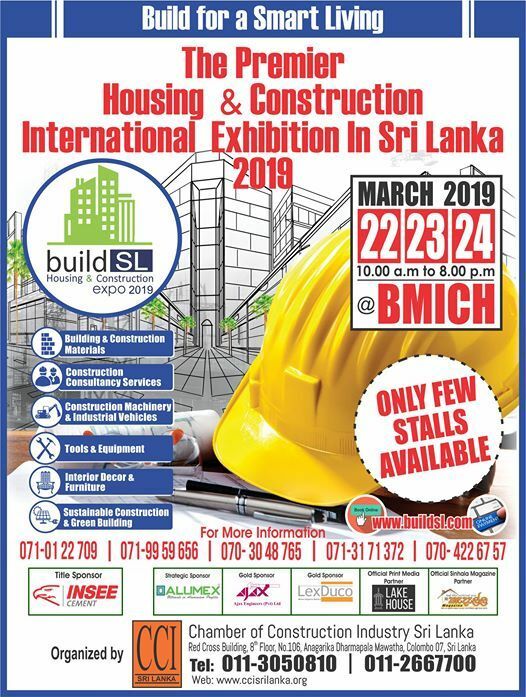 This 15th Exhibition will be held from 22nd to 24th of March 2019 at BMICH with the participation of the stakeholders representing different sectors of the Construction Industry with international participation.